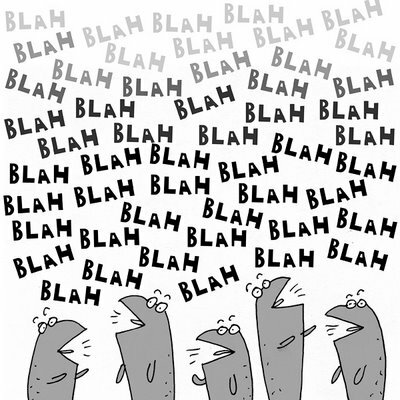 In the Western workplace, disproportional value is placed on giving voice to one’s thoughts at meetings. This is probably associated with the mental model that leaders and potential leaders should be good orators or good at wining arguments. No wonder people feel compelled to speak at meetings. Great for people who love the sound of their own voices. Joking aside, isn’t it sad when meetings degenerate into places where people compete for airtime? Paradoxically, when someone chooses merely to listen, their silence is, at best interpreted as intellectual passivity; or at worse, they are labelled as unassertive. Indeed, many years ago, at an appraisal session of my first job in the UK, my line manager, noticed that I did not speak much at meetings and decided that I should be sent on an assertiveness training workshop. On hindsight, one of the reasons for my reluctance to speak freely was a cultural one. As a junior civil servant in Singapore, a sign of respect for seniority is to listen, and only speak when invited to do so or when it is meaningful to do so. I went to the workshop, which I thoroughly enjoyed! It was my first experience of going to a posh residential workshop, at a plush country hotel in England. It has to be said though, that I don’t remember myself as an unassertive person in this story! Instead, I recall trying to listen intensely in an effort to soak up knowledge in my new cross cultural context. For me, critical learning always involves critical listening and critical thinking. This involves silent reflection, even in a group setting. Alas, not only are we afraid of such silences in meetings, we have come to see it as undesirable. I would love to reframe meetings, not as places where we talk at each other, but as opportunities to connect… to think with each other and to corporately articulate emergent thoughts and ideas through a kind of mutuality that is missing in blah, blah talk. In the context of diversity, “voice without control may be worse than silence; voice with control enables us to enter into a more genuinely reciprocal dialogue” (Gready, P. 2008).